on June 4th apple announced their first beta and since then we had multiple updates of iOS 12 Beta’s, but now apple released their official version of iOS 12. with multiple bugs which are fixed and now mostly its safe to use the new iOS 12 official Version. As we know in the keynote apple promised the DarkMode in the iOS 12 for Mac and for iPhone User’s and they have stand up with that promise finally there is a dark mode in the new iOS 12 official Released. How To Download. 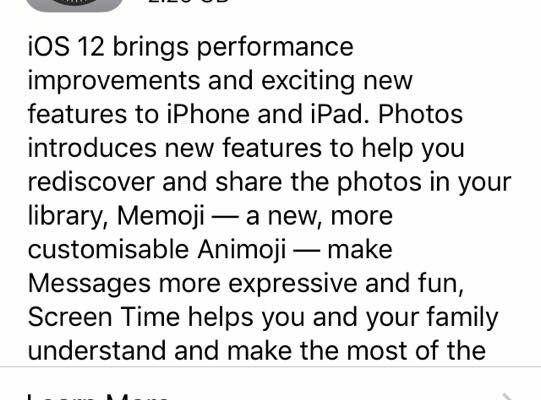 IOS 12 official Released Version.? You can download the ‘iOS 12 official released’ by going to your iPhones , Setting > General > Software update and from there you will see the update of IOS 12 which is around 2.26GBs By Apple inc.